Here is some of the inspiring story and some stunning photo’s of Gareth Andrews crossing of Greenland. 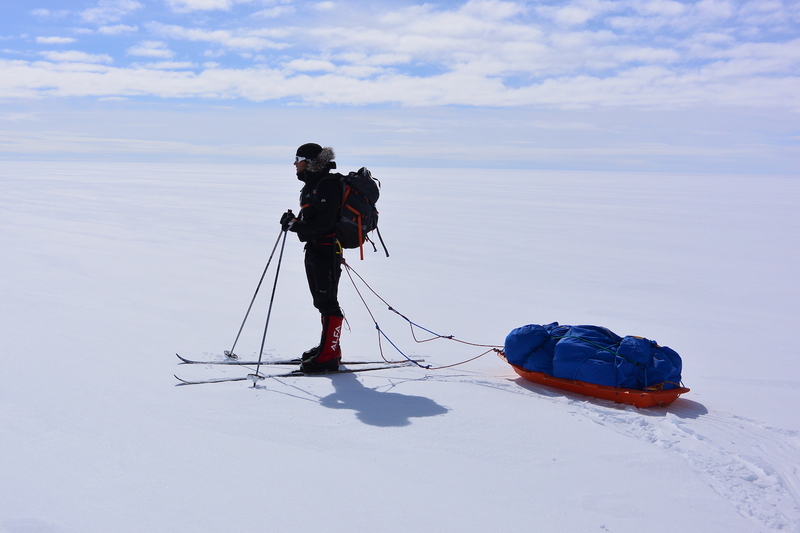 Gareth Andrews, after going through a strenuous functional, goal specific strength and conditioning program with us, achieved his goal of an unsupported crossing of the polar icecap that covers Greenland. I cannot recall when I first heard the tale of Nansen’s daring adventure across the frozen interior of the Greenland ice sheet. I can however remember thinking of the crevasses, ice rivers and storms that marked his journey with a feeling of excitement, tinged ever so slightly with that of terror. Over the years my thoughts often turned back to Greenland and the polar regions and thus I decided that one day I would see it for myself and retrace the steps of Nansen’s first crossing. Our team of five began our unsupported journey on the Hahn Glacier on Greenland’s EastCoast. A huge glacial tongue that winds it’s way from the ice sheet to the sea, choked with the remnants of Winter’s icebergs and pack ice. In the shroud of the coastal mountains, we began our long haul up the glacier. Ahead of us lay 3 days of the hardest hauling any of us had experienced, calling upon every ounce of mental and physical stamina just to reach the ice sheet itself and begin the 560km crossing. The journey that followed will last long in my memory. It was an adventure of the highest order; bone-chilling cold, hidden crevasses, raging storms, huge melt rivers and the ever present, very real threat that we wouldn’t make it across at all. In the last days we were always one crevasse, one river, one fall away from not completing the crossing. It’s not an adventure if youknow what’s going to happen in the end, and the ice sheet kept us guessinguntil the last step. Gareth will giving an audio Visual presentation of his amazing adventure on the polar icecap at the Basecamp, to be inspired join us on Friday 12th August.